Summertime is here and get-togethers with family and friends means food. Keep yourself healthy by checking out some of these sites for healthy pecan recipes so that you can take advantage of the health benefit of pecans–and other foods rich in flavonoids. Go Nuts with These Healthy Pecan Recipes – This article from Wellness Junky provides several pecan recipes that also include other ingredients that are high in flavonoids such as blueberries, dark chocolate, broccoli, apples, and banana. This includes salads, smoothies and healthy snacks. 30 Superfood Recipes You’ve Never Tried Before – From Greatist.com, this article provides several “superfood” recipes that includes pecans as well as many that do not, but all of them are healthy including recipes for breakfast, lunch, dinner and snacks. Heathy Eating Tip: Go for Color – This article provides general healthy eating advice along with links to several different lists of recipes full of flavonoids. Healthy Pecan Snack Recipes from Yummly.com – This site provides several Pinterest-friendly links for healthy pecan recipes for snacks as well as other pages filled with other flavonoid-rich recipes. 18 Healthy Sweet & Savory Pecan Recipes – On the Lifting Revolution website, this article provides links to several pecan deserts including Sugar-Free Banana Coconut Pecan Protein Donuts, Guilt-Free Pecan Pralines, and Paleo Chewy Pecan Pie Brittle just to name a few. Need Wholesale Pecans for Healthy Pecan Recipes? 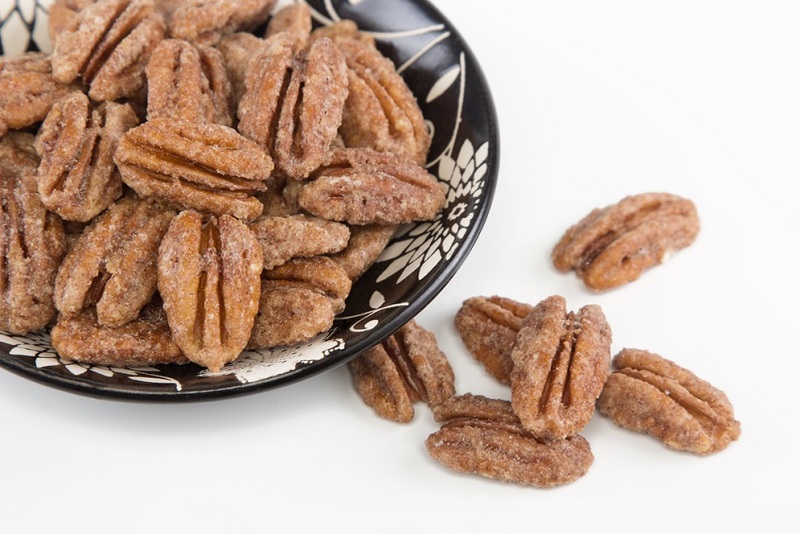 Get high quality estate grown pecans for your healthy summer pecan recipes at Stahmanns Pecans. Call us at 844-739-6887 or contact us using our simple online form.